KATS won the 2009 Blue Riband Award (The Ray Leonard Memorial Trophy) and the Best Play Award in the Open competition. 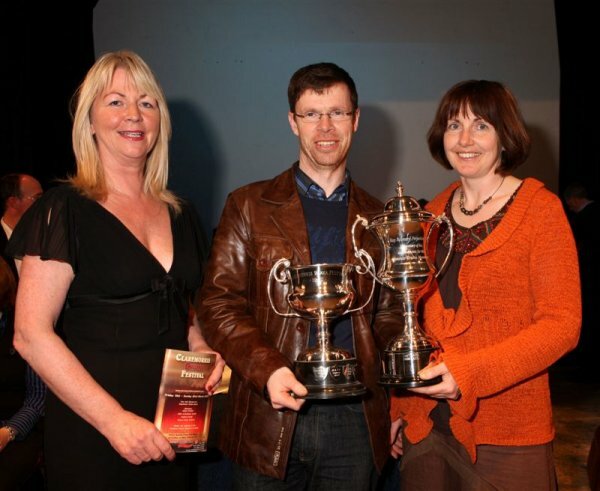 Pictured left: Pauline Byrne (Adjudicator), Frank Commins (KATS) and Pauline Leonard. Compantis Lir claimed the Best Play Award in the Confined competition. The full results for 2009 are now available here. This entry was posted on March 23, 2009 by Enda McCallig. 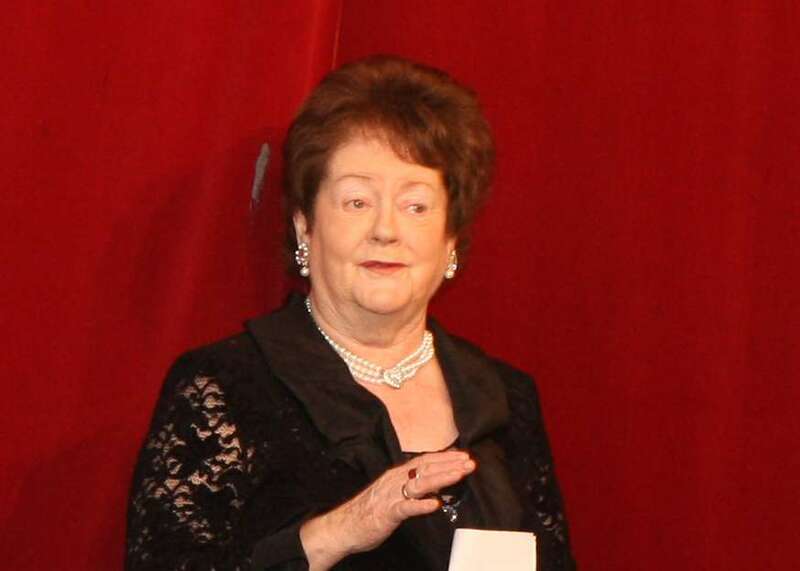 Mary O’Rourke performed the official opening of the drama festival on Friday March 13th at 8.20pm. Mary comes from a family steeped in Amateur Drama, her father Patrick Lenihan founded The All-Ireland drama festival in Athlone. He also wrote radio plays, he became a close friend of John B Keane when John B visited Athlone with the Listowel Players with their production of “Sive”. The Claremorris Festival organisers are delighted that Mary came to Claremorris to perform the opening in 2009. This entry was posted on March 13, 2009 by Enda McCallig.